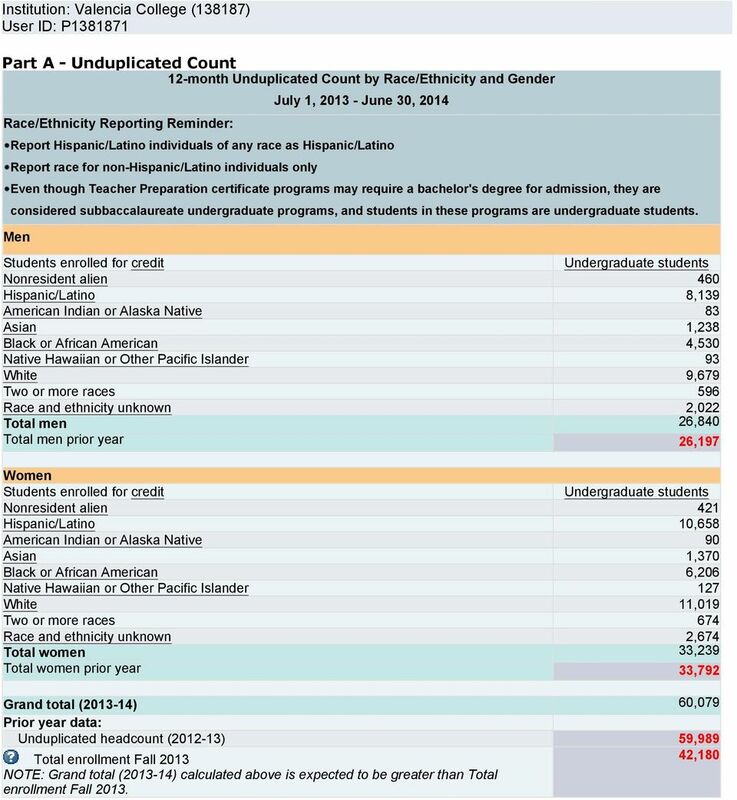 5 Prepared by This survey component was prepared by: Keyholder SFA Contact HR Contact Finance Contact Academic Library Contact Other Name: Alys Arceneaux How long did it take to prepare this survey component? 1hours minutes The name of the preparer is being collected so that we can follow up with the appropriate person in the event that there are questions concerning the data. The Keyholder will be copied on all correspondence to other preparers. 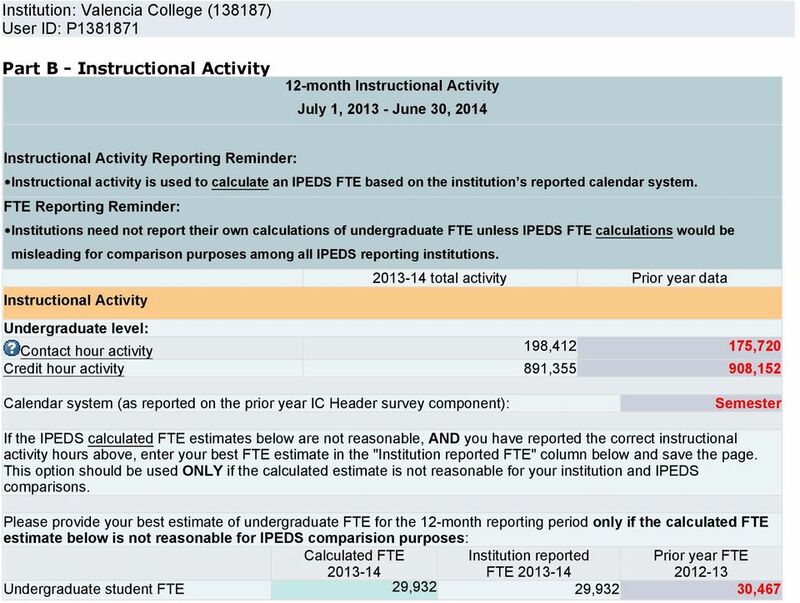 The time it took to prepare this component is being collected so that we can continue to improve our estimate of the reporting burden associated with IPEDS. 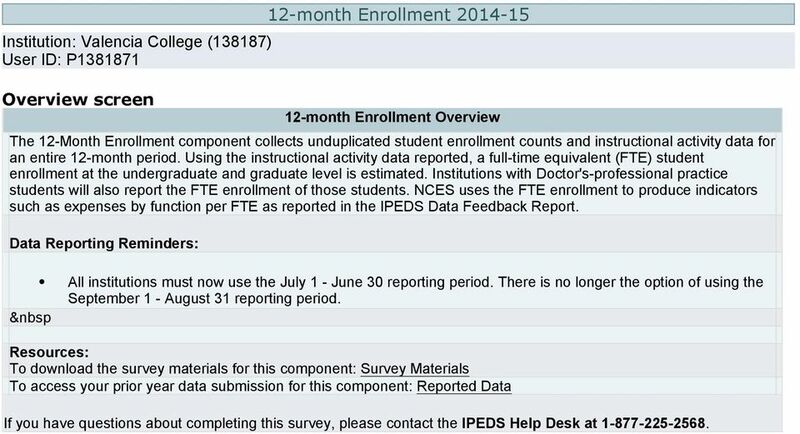 Please include in your estimate the time it took for you to review instructions, query and search data sources, complete and review the component, and submit the data through the Data Collection System. Thank you for your assistance. 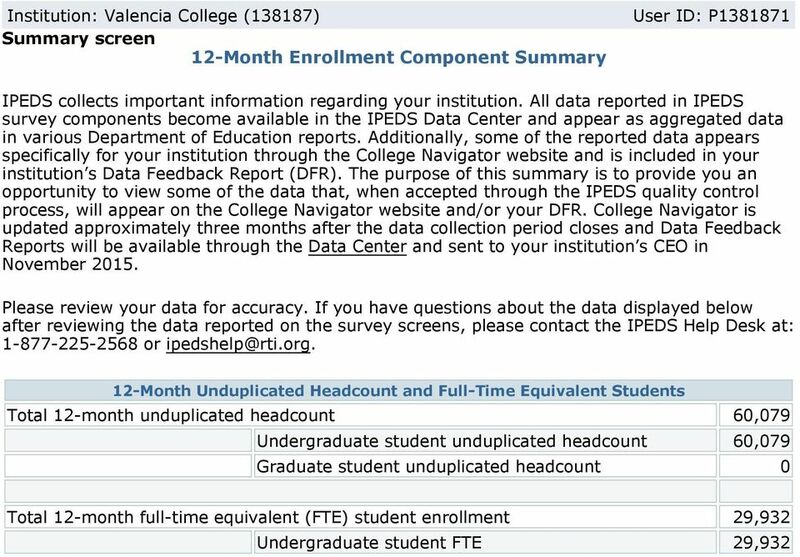 7 12-month Enrollment Valencia College (138187) Edit Report There are no errors for the selected survey and institution.